Ahmad S.* was on his way to a wedding when he was shot in the head. 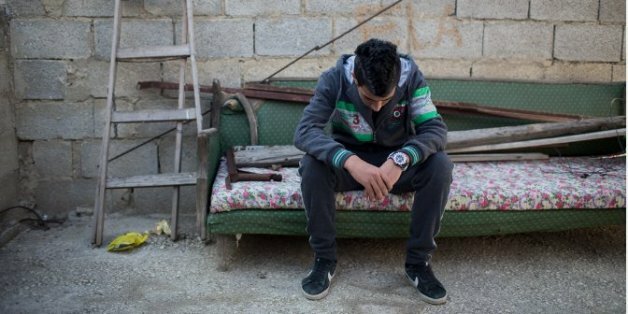 It was the afternoon of April 5, 2013 and Ahmad, then 16, was making his way through the streets in the Jalazoun refugee camp where he lives. "There were clashes and soldiers were firing tear gas and rubber-coated metal bullets," he said. "The soldier was about 10 meters away when he fired at me. I was hit in the head and the arm. I fainted and fell to the ground." 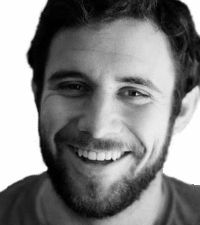 Yazan Z. (16) was shot in the leg with a rubber-coated metal bullet from about three meters away by an Israeli soldier outside the secondary school in Jalazoun Refugee Camp. The bullets fractured his skull and caused internal bleeding and Ahmad was rushed to hospital where surgeons worked on him for three hours. One year later, Ahmad also has lasting nerve damage in his right arm. 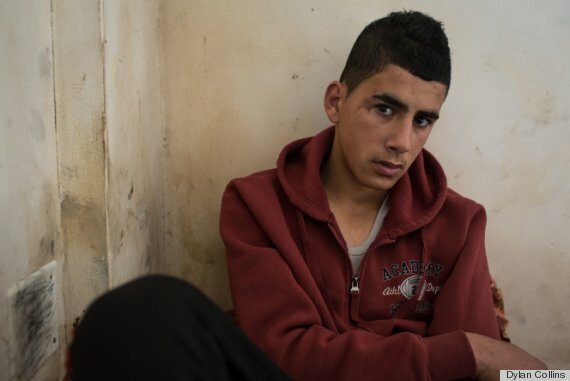 "I cannot grip a pencil or a fork with my right hand," said Ahmad, now 17. "I had to drop out of school." 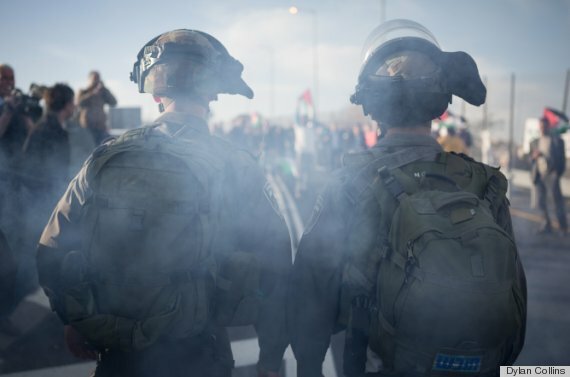 Across the West Bank, the Israeli military regularly uses rubber-coated metal bullets, tear gas canisters, water cannons, sound grenades and other weapons other than live ammunition. The army says it uses these "non-fatal riot dispersal methods" for crowd control purposes, but evidence collected by human rights groups suggests that soldiers regularly use these weapons excessively and improperly. One Israeli soldier identifies targets for another as they fire rubber-coated metal bullets during a protest. Rifat Kassis is director of Defense for Children International Palestine, a group that monitors children's rights in the Occupied Palestinian Territory. "The excessive and improper use of these so-called crowd control weapons have led to the injury and killing of many Palestinians, among them children," he said. 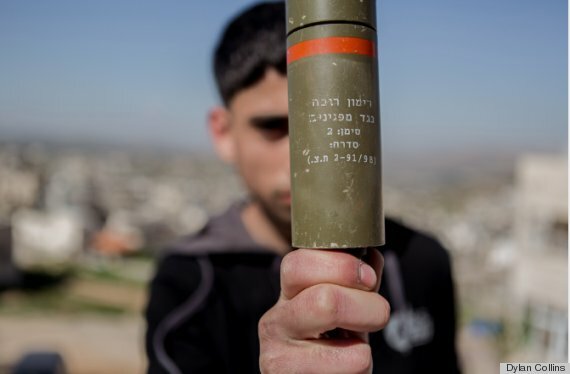 Israeli soldiers regularly fire canisters full of rubber-coated metal bullets. Once fired, the charges disperse, often hitting innocent bystanders. An estimated 1,522 Palestinian children were injured by weapons other than live ammunition between January 2011 and December 2013, according to data collected by The United Nations Office for the Coordination of Humanitarian Affairs. Non-lethal weapons can also kill. A January 2013 report by B'Tselem found that 12 children were killed by rubber-coated metal bullets between 2000 and December 2012. "The soldier was about 10 meters away when he fired at me," said Ahmad S. "I was hit in the head and the arm. I fainted and fell to the ground." 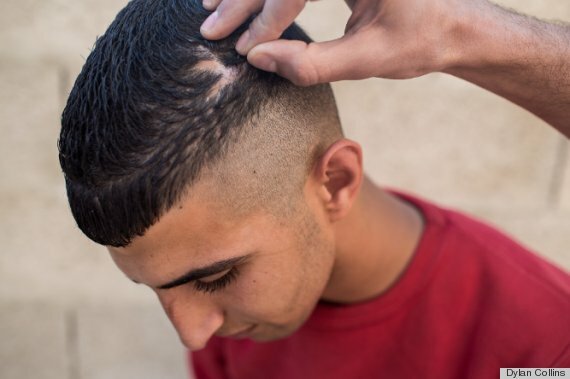 In October 2013, Yazan Z., a 16-year-old student was shot with a rubber-coated metal bullet while he was standing outside his school in the Jalazoun camp. The illegal Israeli settlement of Bet El lies just 100 meters (330 feet) from the perimeter of the UN-administered high school and confrontations take place almost daily between Palestinian youth and Israeli troops. 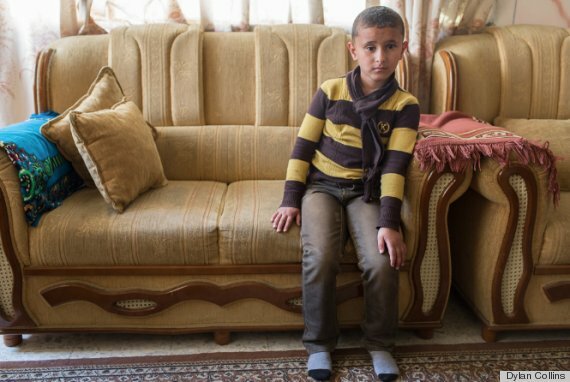 Yazan had just met a friend outside school when he was approached by an Israeli soldier. 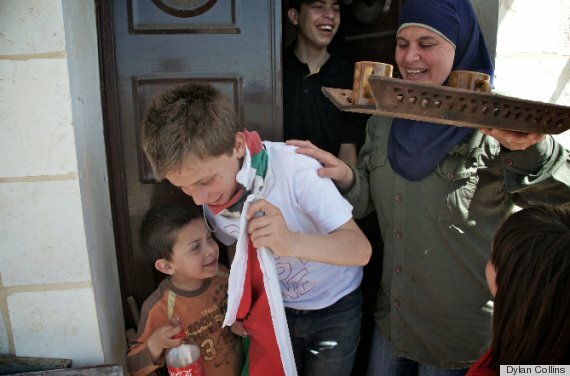 "(He) cursed my mother and my sister, so I responded and cursed him back," Yazan said in an interview in Jalazoun camp. Two more soldiers appeared from nearby olive groves and one of them shot Yazan from "about three meters away." "I fell and my friends tried to drag me away, but they fled when the soldiers fired at them ... It hurt very badly," Yazan added. "Because he was so close, the bullet entered my thigh and lodged in the flesh ... there was a lot of blood." Mousab S. (6) now wears a glass eye (right eye) after an Israeli soldier shot him directly in the eye with a rubber-coated metal bullet in September 2013. Yazan was held for several hours after he was shot -- during which time he claims the soldiers beat him -- before finally being released without charge. He was taken to hospital by a Palestinian ambulance and surgeons operated on him for five hours to remove the bullet. He was left unable to walk for three months. Despite repeated inquiries about Yazan's case, the Israeli military spokesperson declined to respond, saying only that all allegations of misconduct are investigated. Six months later, Yazan has a limp and cannot walk for long periods of time without feeling severe pain. "The doctor said that I will eventually get used to it, but it stills hurts all the time," he said. 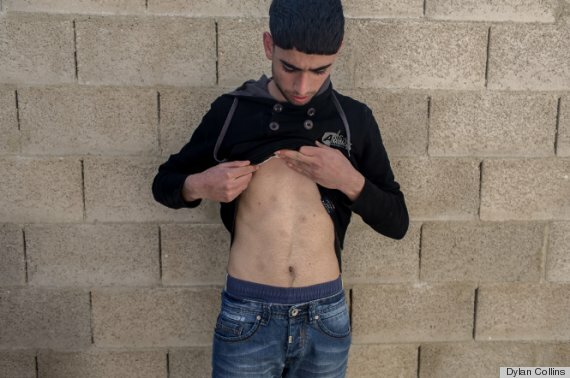 Majd S. (17) was struck in the chest with an entire canister of rubber-coated metal bullets. The soldier was about three meters away when he fired. Ayman Ramahi, the director of the Palestinian Children's Club in Jalazoun, said that around half of the camp's population of 10,000 UN-registered refugees is under 16. Due to a lack of recreational areas in the overcrowded camp, children play at the only playground, which is near the Israeli military outpost for the settlement of Bet El. 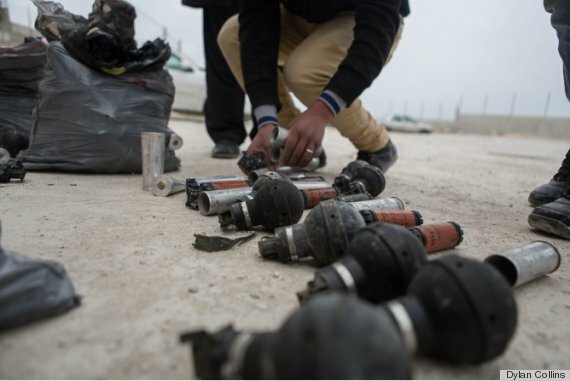 Ninth graders at the Urif Secondary school in Nablus dig through bags of tear gas canisters that have been fired into the school grounds by Israeli soldiers. "Nearly all of the kids who attend the children's club have experienced some form of violence by the (Israeli) soldiers," Ramahi said. "It's very difficult to talk to these children about peace when they are being hurt all the time and their friends are being killed." The situation is not unique to Jalazoun. Across the West Bank, the proximity of Israeli military areas and settlements to Palestinian cities, villages and refugee camps means children are often the victims of military violence. Osama (18), Mohammad (14) and Samer Tamimi (8) have all been injured by tear gas canisters and rubber-coated metal bullets over the years. According to Israeli military regulations, a soldier who shoots rubber-coated metal bullets must be at least 50-60 meters (165-195 feet) away from their target. 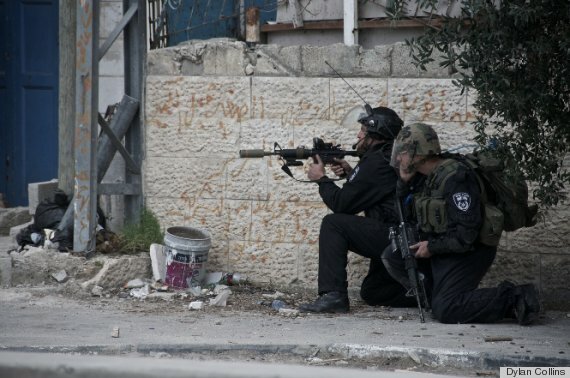 Human rights group B'Tselem noted that army rules require that rubber-coated metal bullets should only be fired at the legs of "inciters, key disrupters of order or individuals endangering the well-being of a soldier or another individual." Army rules are clear that these bullets "may not be fired at women or children." Due to Israel's occupation, Palestinian children are forced to grow up in a highly militarized environment. Non-lethal weapons undergo extensive review before approval for use, including thorough assessments conducted by technical, medical and legal experts. Although not every instance of injury sustained during riot dispersal indicates a breach of the Rules of Engagement, on occasion when it is found to have done so, the appropriate actions are taken. Rifat Kassis, director of Defense for Children International Palestine, disputed the military spokesperson's claims. "None of the Israeli soldiers (who violated regulations) have been held to account for the unlawful use of these weapons," Kassis said. Israeli forces prepare to fire tear gas and rubber-coated metal bullets as they clash with Palestinian youth at Qalandia checkpoint. 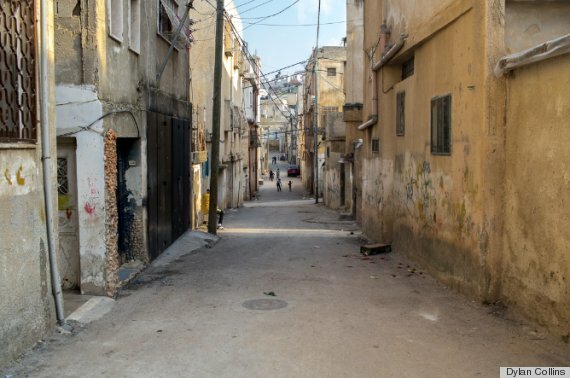 Homes in the Jalazone refugee camp are built against and atop one another, and overcrowding, crumbling infrastructure, unemployment and frequent military night raids plague local residents. Kassis added that the military's failure to adequately investigate alleged violations regarding the use of weapons other than live ammunition is part of a broader pattern of Israeli impunity. From 192 complaints lodged against Israeli soldiers between September 2000 and December 2011, less than four percent resulted in an indictment, according to the Israeli rights group Yesh Din. 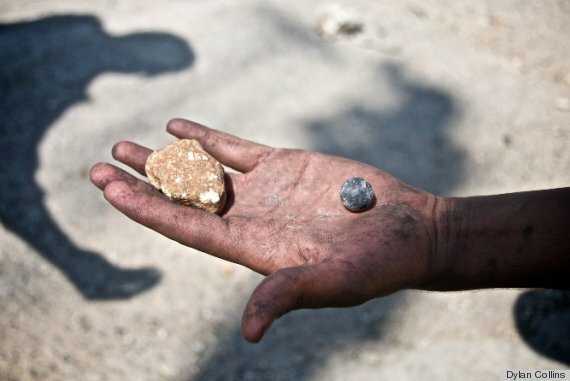 Rubber-coated metal bullets are routinely fired Palestinian protestors and bystanders alike. Yazan explained that most of Jalazoun's residents, including him, have "no trust" in Israel's ability to deliver justice through investigations. "I didn't even consider filing a complaint," he said. 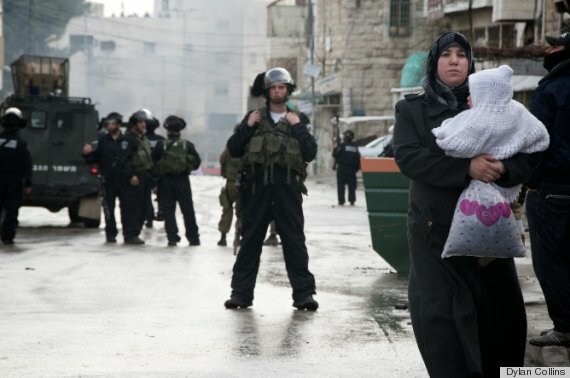 "It would be pointless ... Israel's laws are only respected when it helps them." 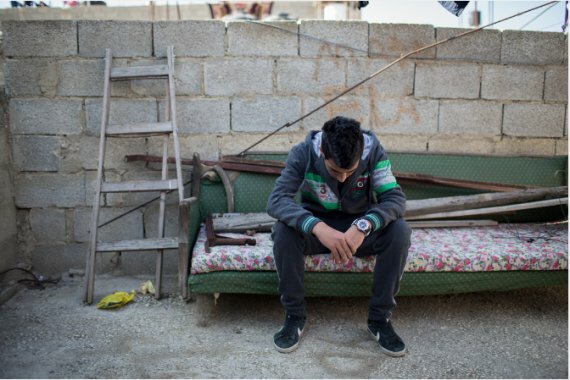 Abdelrazzeq Abu Sel (16) is from Aroub refugee camp near Hebron. He was shot in the side of the head with a tear gas canister in Novembr 2013 as he entered a store down the street from nearby clashes in the camp. Four months later, the marks are still visible on his face. 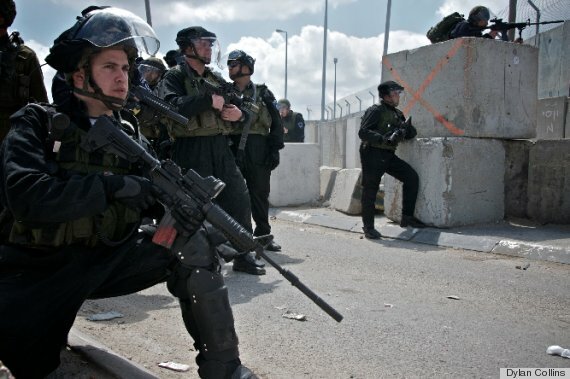 No Israeli soldiers have been indicted for the misuse of weapons other than live ammunition. *An initial is used for children's last names to protect their identities. All photos by DCIP/Dylan Collins. Patrick O. Strickland and Dylan Collins are freelance contributors to Defense for Children International Palestine, an independent child-rights organization dedicated to defending and promoting the rights of children living in the Occupied Palestinian Territory. DCI-Palestine provides free legal assistance to children, collects evidence and conducts advocacy targeting various duty bearers. Follow DCI-Palestine on Twitter and Facebook. To learn more, visit the Defense for Children International: Palestine website.